Here a game I ported in the past: Hegemony Gold for Mac! I added it in the past but haven’t added yet into Porting Kit but now it has been released on GOG.com I added the game after all :) The game works very well, and if you like strategy games this one has a good and very fun kinda gameplay. 2. Then download the GOG.com setup file from Hegemony Gold from GOG (Remember to download the “offline backup setup files”) into your download folder. Experience the full range of warfare from reconnaissance and raids to field battles and mountain blockades as you campaign across a continuous satellite-accurate map of ancient Greece. Siege and starve your enemy by cutting their supply lines or burning their crops, all the while building and protecting your own supply network to support your growing kingdom. Play as Macedonia, Athens, or Sparta in the three historical campaigns, or choose one of the 26 factions in the epic sandbox mode and forge your own empire. With dynamic new diplomacy options and greatly expanded tactics, Hegemony Gold sets the new standard for ancient warfare. Another golden oldie has been added to Porting Kit!! Metal Fatigue for Mac has been added to Porting Kit. The game was added into the GOG.com catalog a few weeks back, and now it’s also available in Porting Kit. The game reminds me on Dune 2000. The game works flawless on one exception, and that is, that the max resolution to play the game is 1024×768 (if you change it to higher ones, the game won’t work), which is of course more then enough to play this game splendidly. Enjoy the game! 2. Then download the GOG.com setup file from Metal Fatigue from GOG (Remember to download the “offline backup setup files”) into your download folder. – Help Cooper, Doc, and Kate save a town from outlaw scumbags in a new mission designed to be the game’s demo. 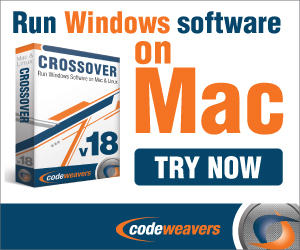 – Mac and Linux support added! – The game is now 80% off until July 16th, 5pm UTC. If you haven’t tried it yet, go ahead and give it a shot. Or two. Finally it’s there!! Myst IV – Revelation for Mac has been added to Porting Kit. I ported the game also in the past, but now the digital version has been released on GOG.com last week as well, I finally could add the game to the Porting Kit database. The game works flawless :D We can now proudly say that we have the whole Myst Series in the Porting Kit Catalog. The game requires about 10GB space on your Mac and also make sure you download the “offline backup setup files” into your download folder from your GOG.com Library before you install the game. Enjoy more Myst games on Porting Kit with RealMyst and Myst II – Riven, Myst III – Exile and Myst V – End of Ages. 2. Then download the GOG.com setup file from Myst IV – Revelation from GOG (Remember to download the “offline backup setup files”) into your download folder. In Myst IV: Revelation, the next chapter in the greatest adventure saga of all time, you’ll travel through environments pulsing with life to unearth a treacherous scheme involving two of Myst’s most sinister villains. At the heart of every family lie secrets that must come to light. Finally it’s there!! Myst III – Exile for Mac has been added to Porting Kit. I ported the game in the past, but now the digital version has been released on GOG.com last week, I finally could add the game to the Porting Kit database. The game works flawless :D, enjoy the game! Don’t forget to download the “Offline backup installer files” from your GOG.com library after purchase into your download folder and start the install. Enjoy more Myst games on Porting Kit with RealMyst and Myst II – Riven Myst IV Revelation and Myst V – End of Ages. 2. Then download the GOG.com setup file from Myst III – Exile from GOG (Remember to download the “offline backup setup files”) into your download folder. The story of Myst continues… Return to this strange and wonderous universe, where books become portals into worlds, and where the lessons of the past may yet hold meaning for today… Experience the stunning sequel to Riven, a complex tale of betrayal and revenge that only you can successfully unravel. Myst III – Exile plunges you into an adventure so real, you’ll forget it’s a game. There are also journal pages and entries you can pick up along the way to get some more backstory for all the characters involved. The main story of the game is how Saavedro (played by Brad Dourif, probably the strongest acting performance in the Myst series), a slighted citizen of a world ravaged by Sirrus and Achenar, has taken 20 years to plot revenge against Atrus and his family. You predictably fall into his trap and have to puzzle your way out to reach the conclusion of the game.